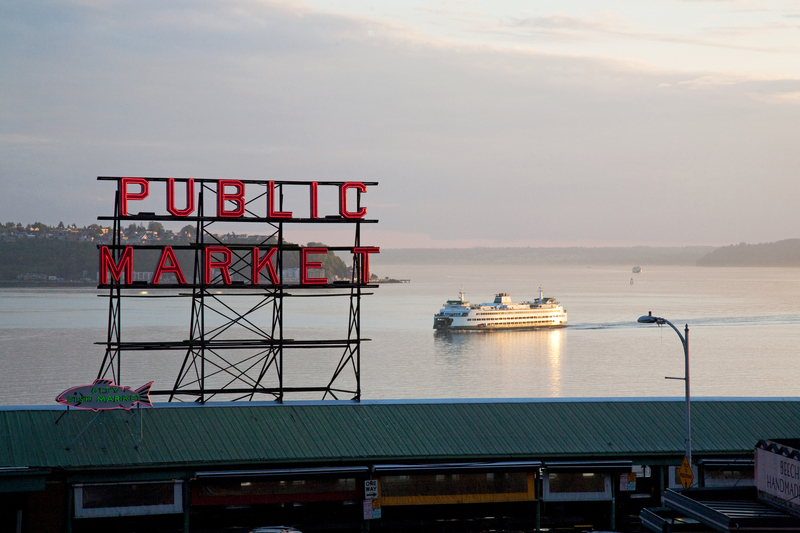 Come early or stay late to enjoy all Seattle has to offer or plan ahead and visit some of the nearby locations that are accessible via land, air or water. Museum of Flight - The Museum of Flight holds one of the largest air and space collections in the US. Boeing Factory Tour - Located 25 miles north of Seattle, visitors can watch Boeing planes like the 747, 767, 777 and 787 being built 7 days a week. Alki Beach - A long beach strip that runs from Alki Point to Duwamish Head on Elliott Bay with views of the Puget Sound and Olympic Mountains. Seattle Children’s Museum - Features 22,000 square feet of play space with 11 exhibits designed for kids 10 months to 10 years old. Museum of Pop Culture - Founded in 2000 by Microsoft co-founder Paul Allen, the museum offers a wide range of exhibits from music, movies and more. Seattle Aquarium - Located on Elliott Bay, the aquarium highlights the Puget Sound with seals, otters, birds and more. Seattle Great Wheel - Enjoy spectacular views while going three revolution on the Great Ferris Wheel. Olympic Sculpture Park - Offers monumental contemporary sculptures and breathtaking views of the Space Nee​dle, Olympic Mountains, and Puget Sound. Museum of History & Industry - Collecting and preserving artifacts and stories of the Puget Sound region’s diverse history, MOHAI highlights a tradition of innovation and imagination. Seattle Pinball Museum - Dedicated to the preservation of pinball for future generations; Come play 50+ pinball machines on free play from the 1960's on. Bill & Melinda Gates Foundation Visitor Center - Interactive space that aims to connect visitors to the work of the foundation and help them explore their own solutions to some of the world’s toughest challenges. 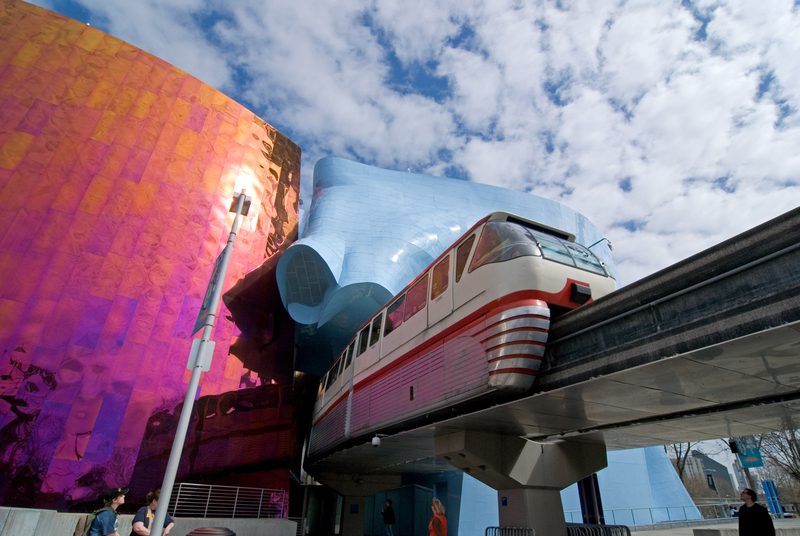 Pacific Science Center - Igniting curiosity and fueling a passion for discovery, this museum includes exhibits a Planetarium, Laser Dome, and two IMAX Theaters. Seattle Art Museum - Center for world-class visual arts in the Pacific Northwest. Frye Art Museum - Museum emphasizes painting and sculpture from the nineteenth century to the present. Freemont Troll - An 18 foot tall sculpture lives under the George Washington Memorial Bridge. A photo op you won't want to miss! Theo Chocolate Factory Tour - Located in Freemont, the one hour tour includes chocolate sampling. Gas Works Park - Located in Freemont, with excellent city views, this is a great place for kids to play or to watch seaplanes take off and land on Lake Union. Ballard Locks - One of Seattle's most popular tourist attractions, view migrating salmon through the locks. Seattle Mariners - MLB team will be playing at home on August 6-7 and 9-11. The Mariners will celebrate Edgar Martinez Hall of Fame induction on Friday, August 9, with a Hall of Fame Bobblehead Night giveaway; on Saturday, August 10, the team will hold the Hall of Fame celebration and will giveaway a replica H.O.F. Plaque; and then on Sunday, August 11, they will give away a ‘Edgar Martinez Drive’ replica street sign. Sounders FC & Reign FC - Men's and women's major league soccer team may have home games during our conference. Seattle Storm - Reigning WNBA champions with legend Sue Bird may have a home game during our conference. Note: Several of the locations below will require 1-2 day itineraries. Additionally, during summer's high tourist season, many of the destinations below will likely require advanced reservations for hotels, ferries, etc. San Juan Islands - World-class whale watching, kayaking, biking, hiking, farm-to-table dining, cozy lodgings. Whale Watching - Spot Orcas, gray, and humpback whales year round in the Pacific Northwest, southern resident Orcas typically travel through the San Juan Islands May through October. Victoria Clipper - High speed ferry service to Victoria or the San Juan Islands. Bainbridge Island - Eclectic boutiques and galleries, breathtaking scenery, welcoming accommodations, and endless outdoor adventures await. Mount Rainier National Park - Ascending to 14,410 feet above sea level, Mount Rainier stands as an icon in the Washington landscape. An active volcano, Mount Rainier is the most glaciated peak in the contiguous U.S.A., spawning five major rivers. Olympic National Park - Encompassing nearly a million acres, the park protects a vast wilderness, thousands of years of human history, and several distinctly different ecosystems, including glacier-capped mountains, old-growth temperate rain forests, and over 70 miles of wild coastline. North Cascades National Park - Less than three hours from Seattle, an alpine landscape beckons with jagged peaks crowned by more than 300 glaciers. 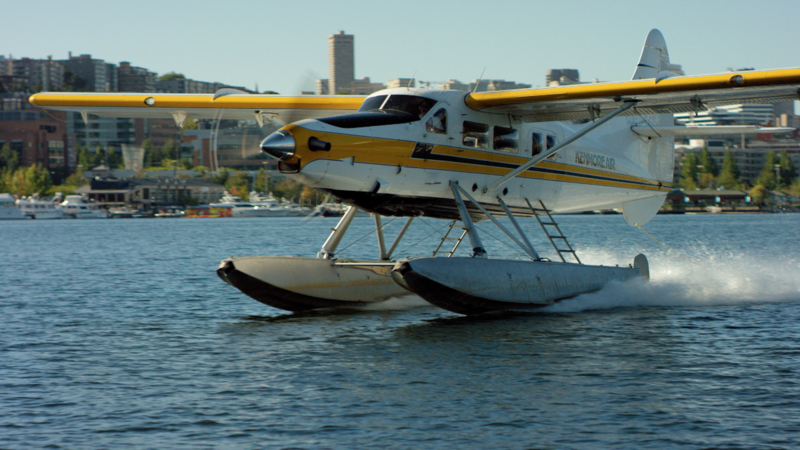 Kenmore Air Floatplanes - Take off from Lake Union for a scenic tour of the Emerald City. Kenmore Air also flies from Seattle to more than 45 destinations throughout San Juan Islands, Victoria & Inside Passage. Cruise Lines - Alaskan cruises depart from the Seattle's port all summer long. Olympia, Washington - Tour the state Capitol and explore the uniqueness of this waterfront city. Victoria, British Columbia - From First Nations history to British colonial and Asian traditions, and the landmarks, culture, cuisine, festivals and vibrant atmosphere that come with them. Vancouver, Canada - A bustling west coast seaport in British Columbia, it is among Canada’s densest, most ethnically diverse cities. A popular filming location, it’s surrounded by mountains, and also has thriving art, theatre and music scenes. LeMay America's Car Museum – Tacoma museum with a 350 car gallery. Museum of Glass – Tacoma museum offers live glassblowing demonstrations, dynamic exhibitions, and make your own glass experiences. Daytime highs are in the mid-70’s. Evenings are usually in the mid-50's. A light jacket is recommended for the evenings. Rain is minimal during the month of August. The following restaurants are near the hotel or are a short taxi ride away.